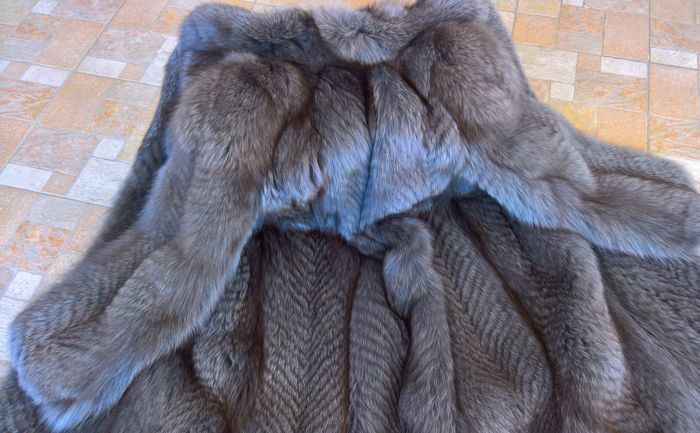 Stunning blue frost fox fur. 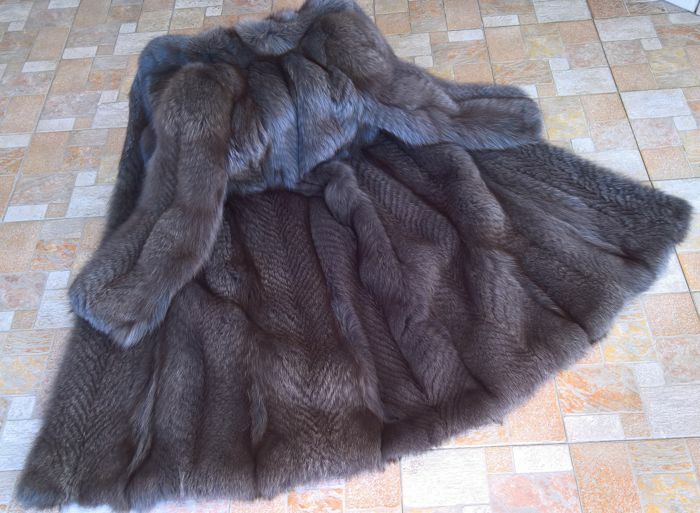 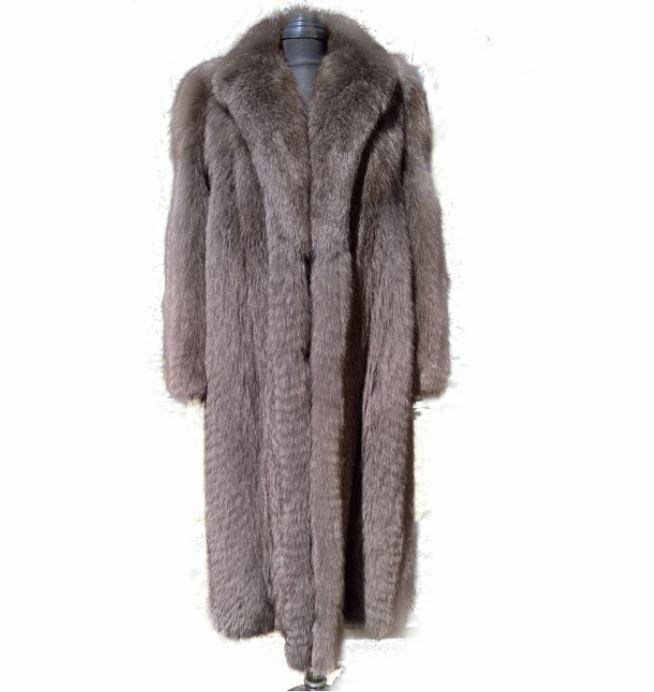 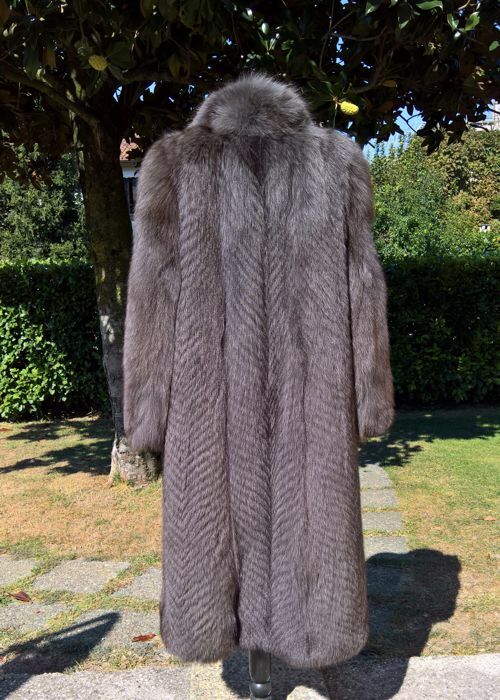 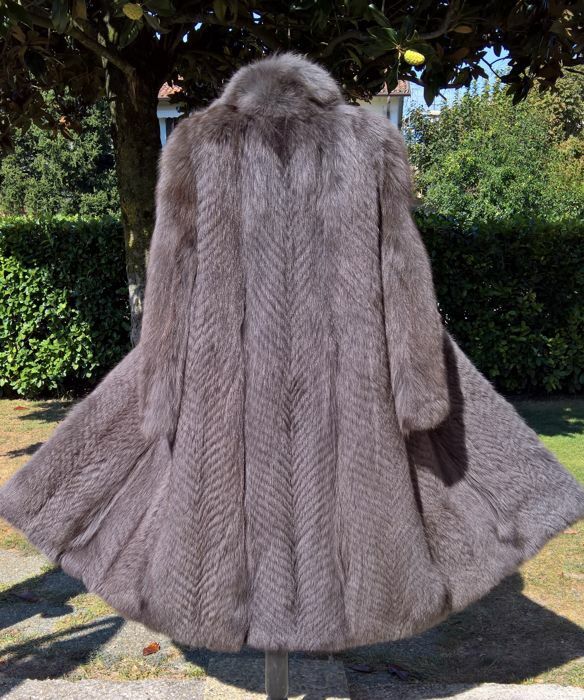 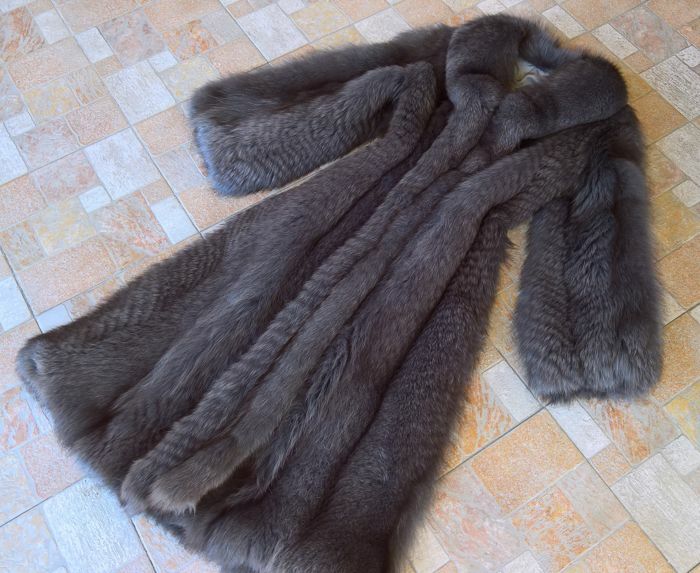 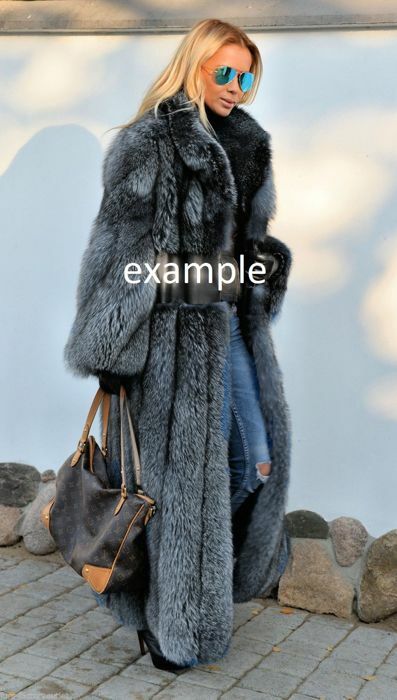 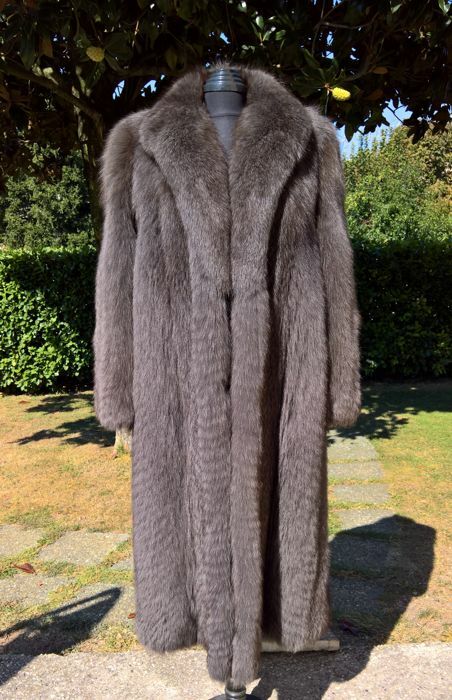 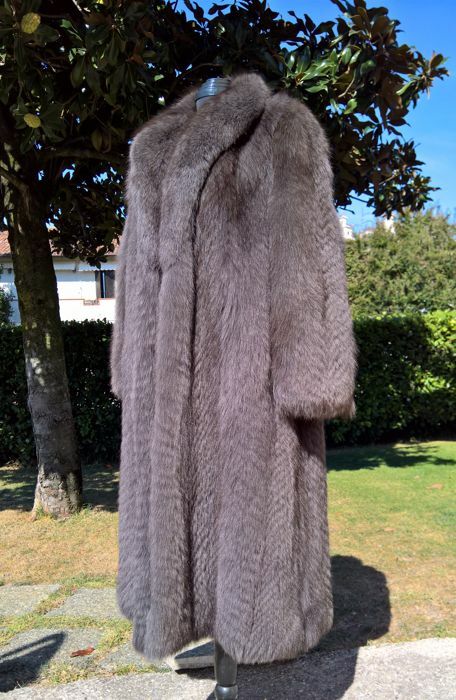 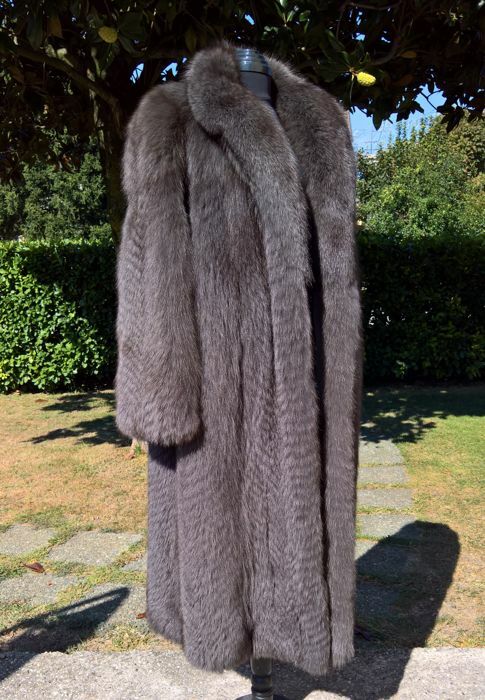 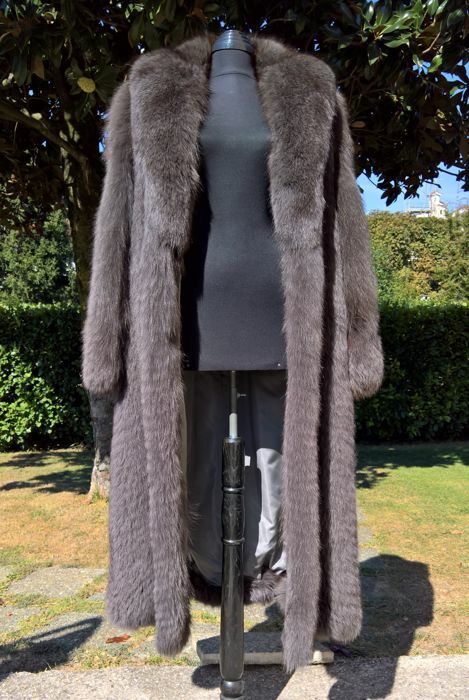 Made in Italy, HENRI FURS. 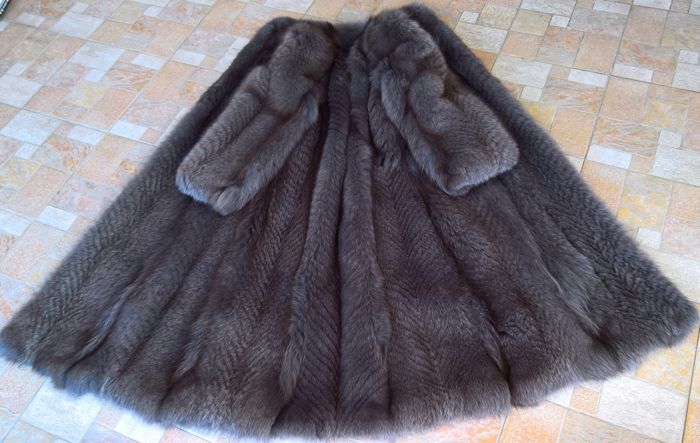 The model is 170 cm wide and 120 cm long. 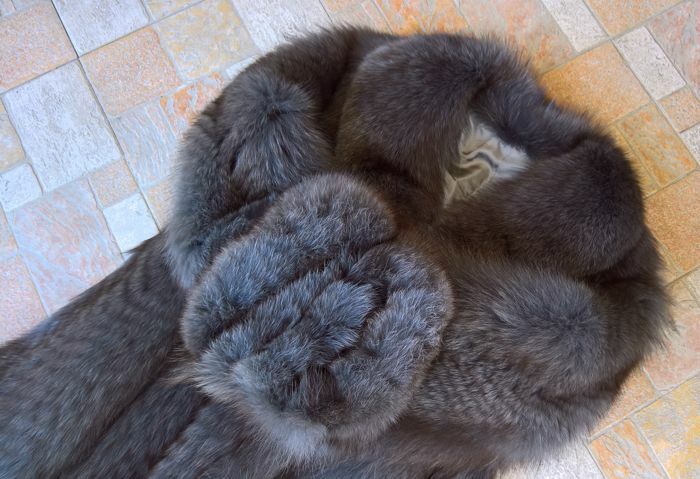 Always stored with care at a furrier's. 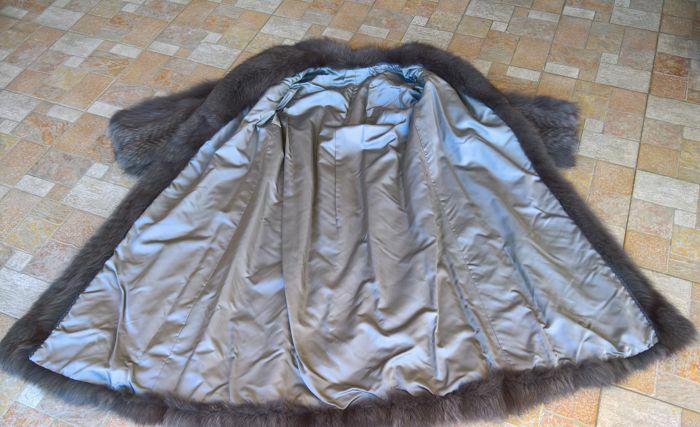 2 external pockets with a 2-hook fastening. 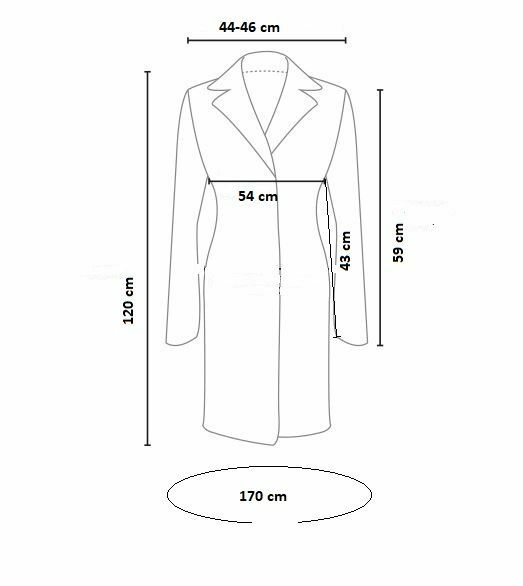 See the second photo for measurements.